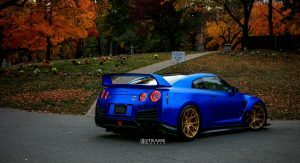 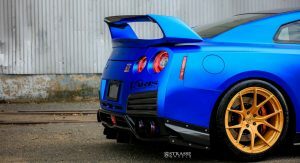 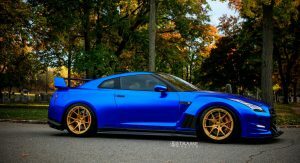 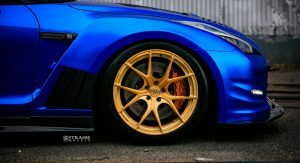 When it comes to drag racing, AMS-tuned cars usually do extremely well, especially if they happen to be all wheel driven beasts like the fast-launching Nissan GT-R.
Godzilla is arguably the go-to car for tuners looking to unleash over one thousand horses. 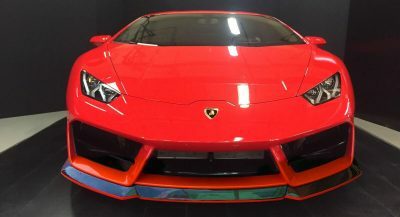 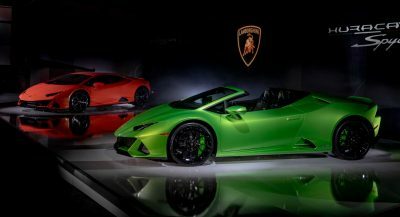 You can also make a case for the twin-turbocharged Lamborghini Gallardos, but that’s pretty much it. 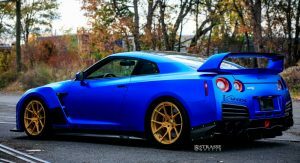 These “guys” have dominated the drag strip for many, many years. 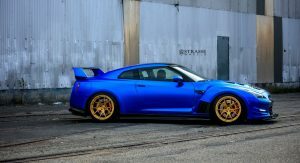 Now, while these types of cars generally have a no-nonsense exterior in black or matte black, this 1,386 WHP GT-R has a lot more going for it in terms of aesthetics. 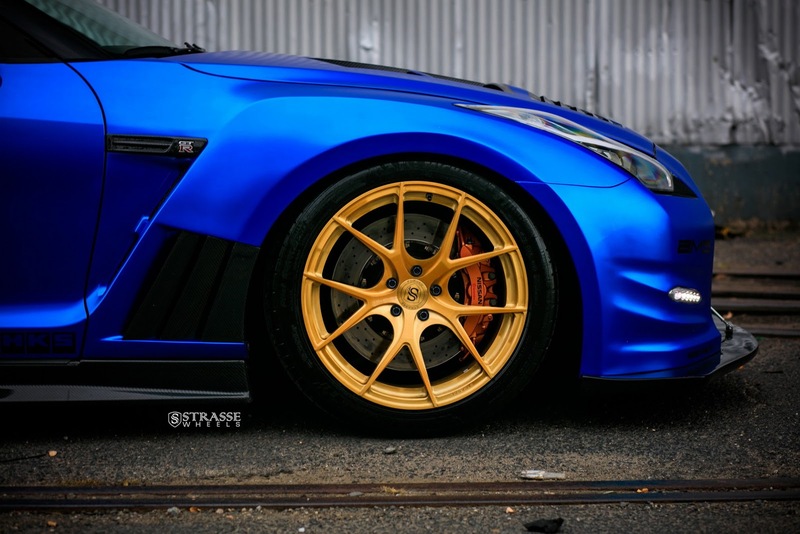 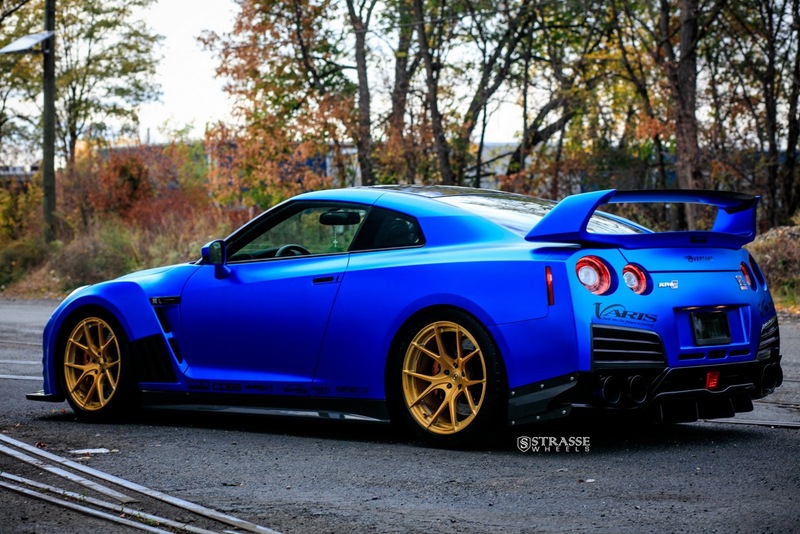 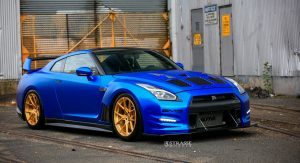 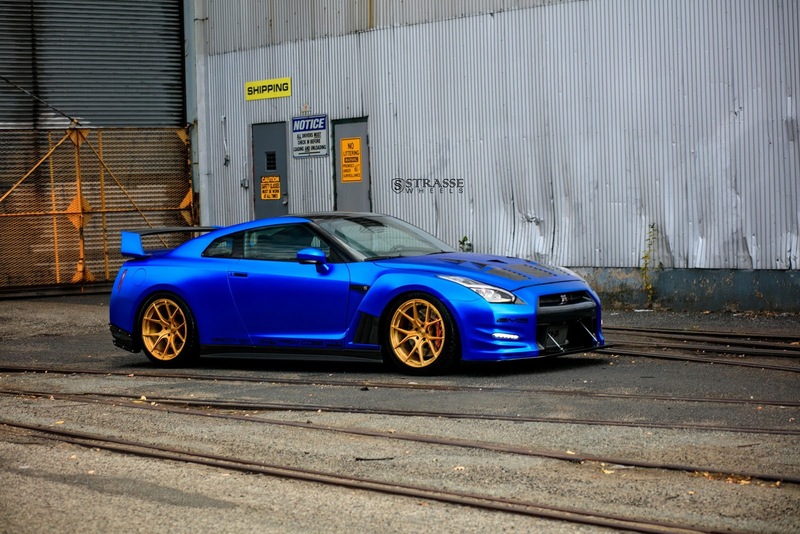 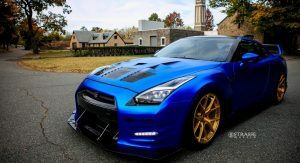 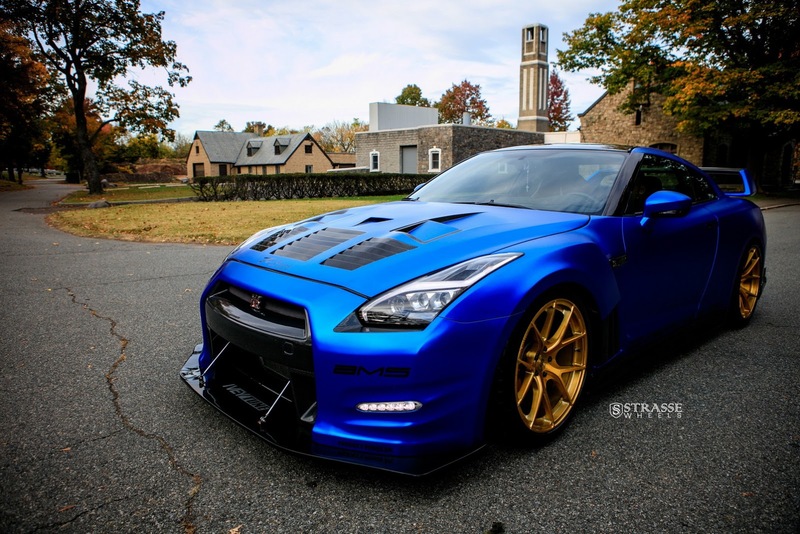 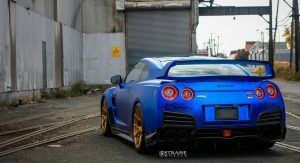 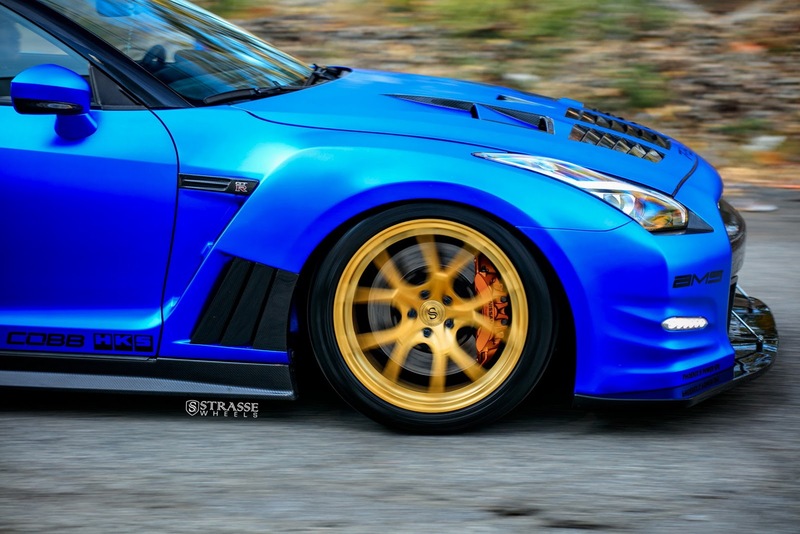 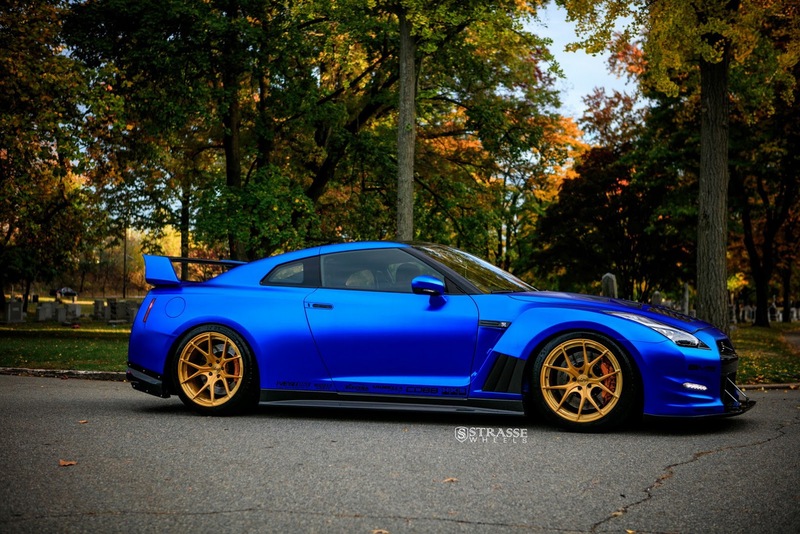 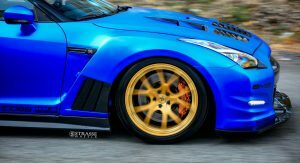 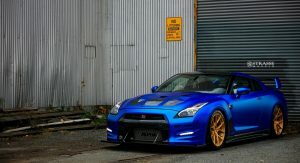 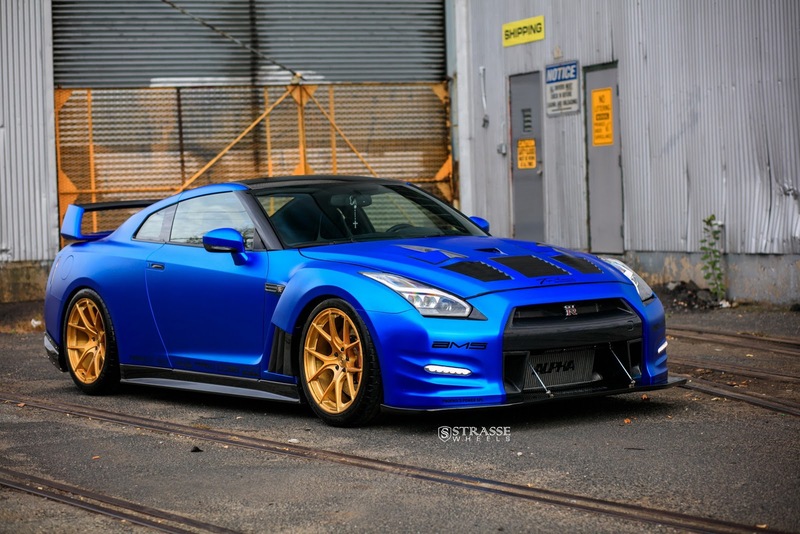 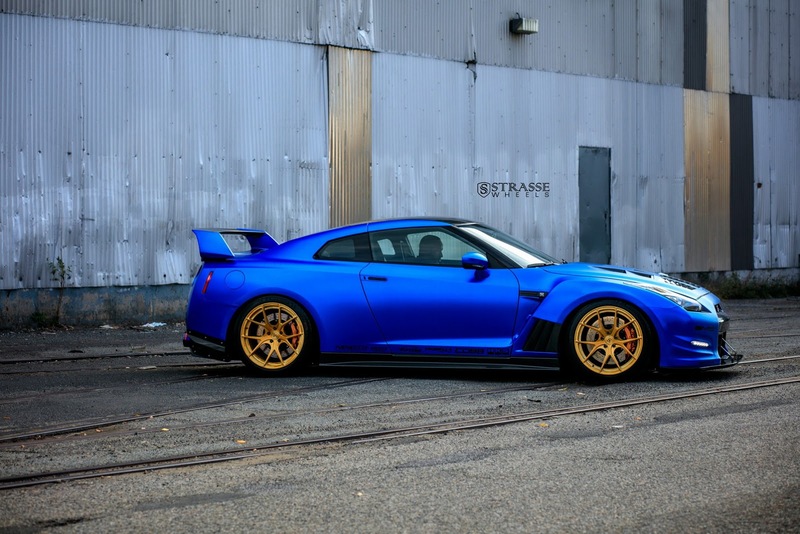 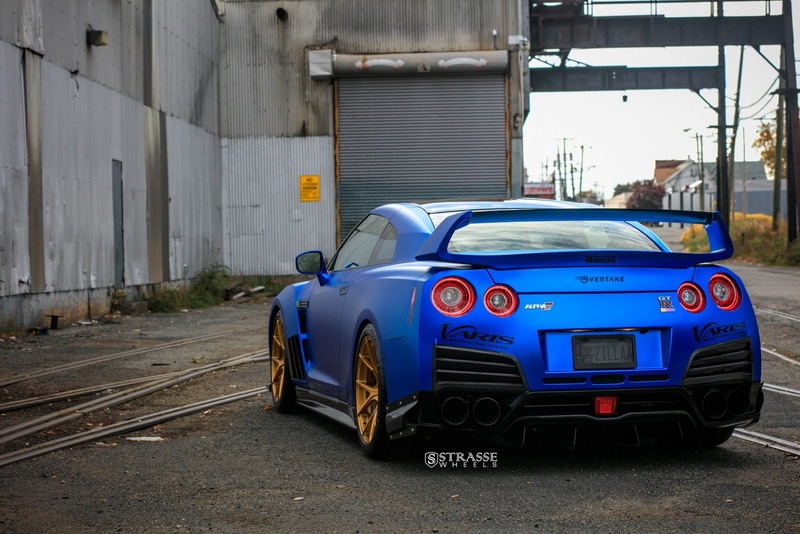 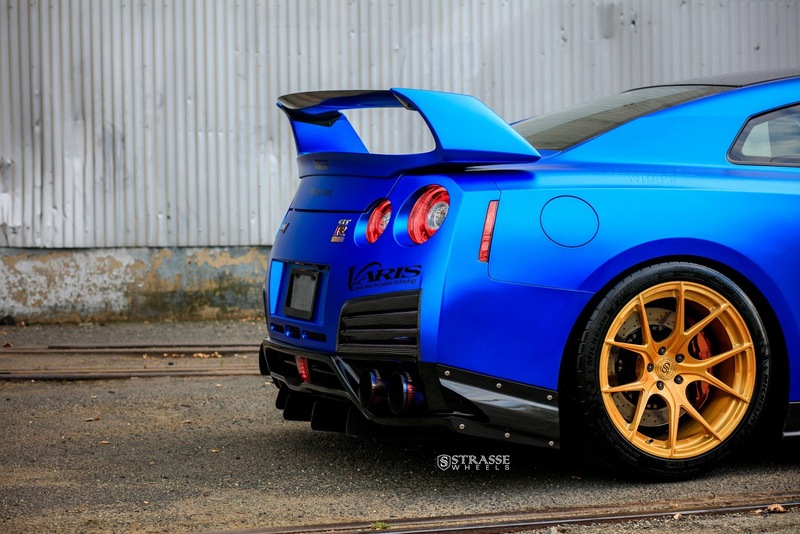 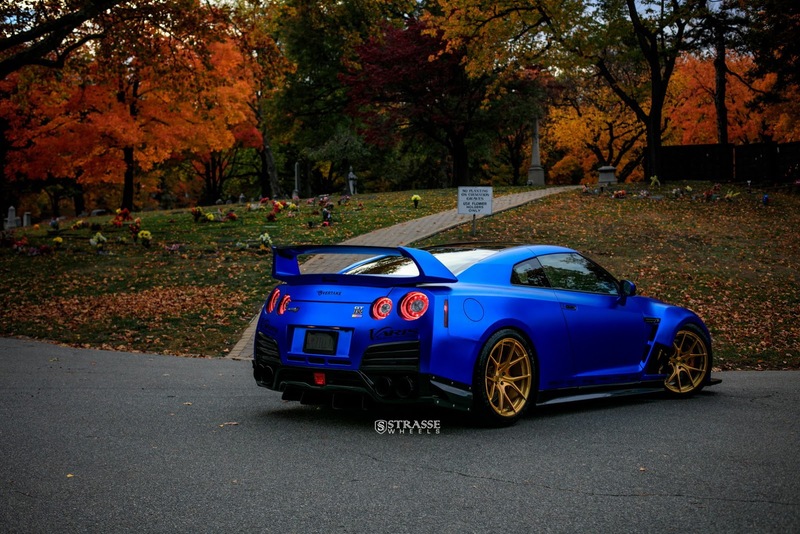 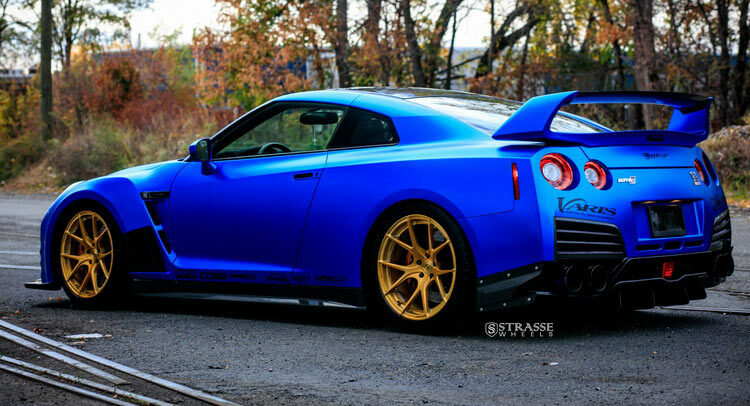 Most visible is the matte blue chrome wrap job, along with the SM5R 20″ gloss brushed gold Strasse wheels. 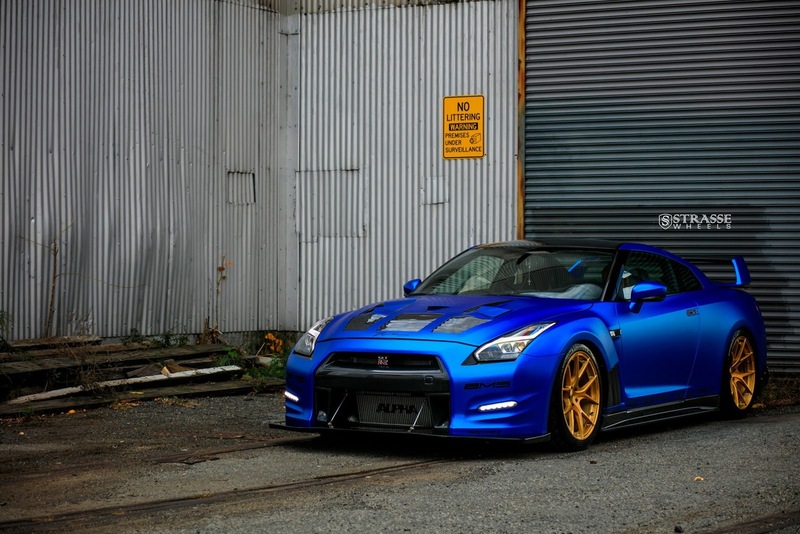 If those don’t get you, then prepare yourself for the JDM carbon fiber exterior upgrades. 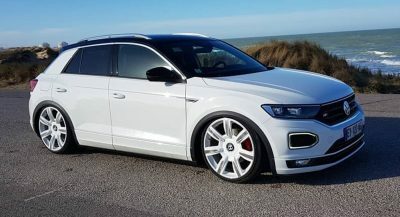 What do you guys think, is this the right way to go with such a build or would you keep it looking as stock as possible, while making sure you’ve still got all the power in the world? 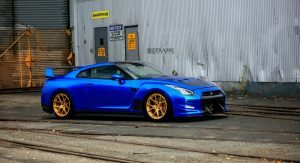 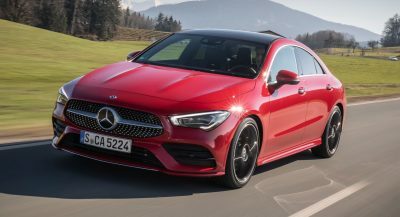 Previous PostPrevious Owning A Supercar: Is Reality Just As Good As Fantasy?